If you're looking for the elegance of a string ensemble with the sound of today's pop artists, you've come to the right place! Our string quartets are equally at home with classical masterpieces and Top 40 hits. At Espinoza Music Professionals, our ensembles are available in duos, trios, or quartets, based on your budget and needs! Scroll down to read more about them! 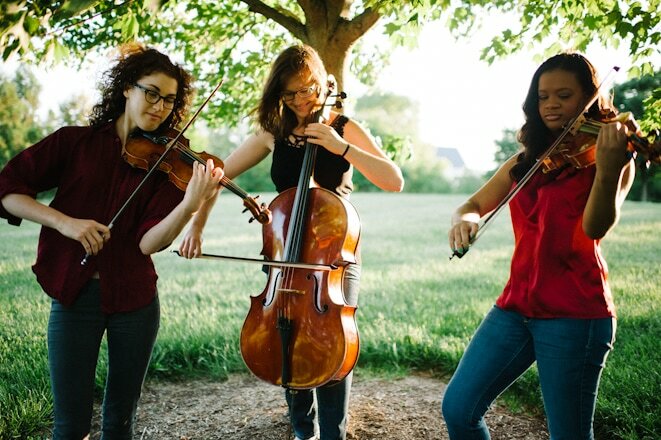 Washington D.C.-based DS Ensemble is a group of classically trained string players providing versatile live entertainment for every event. With a varied repertoire list and years of professional experience, the DS Ensemble will provide the perfect music to accompany your wedding ceremony, reception, or corporate event. Whether you're looking for elegant classical accompaniment, or a fun and raucous performance of pop hits, the DS Ensemble has your every need covered! Contact us today to plan your event!